June was such a good month for me! I got to go to the beach with my family, received some awesome mail and read a lot of great books. I'm hoping that this trend continues in July! The summer is just flying by. 1. Not-At-BEA Haul - I wasn't able to attend BEA this year, and I was bummed about missing out on time with my friends! Alexa told me she was going to keep an eye for a few books on my wishlist, but I never expected to get such an epic not-at-BEA haul in the mail. I'm seriously so thankful to have such a generous friend! 2. #AliMakesMail - I followed @alimakesthings on Instagram for months so I could stalk her gorgeous lettering and mail surprise. I finally took the plunge in June and ordered an extra May mail, and I'm so pleased! The prints are so lovely, and I adore the theme of "life unfiltered." I will definitely be ordering again in the future. 3. Surprise from Morgan - I got home from an epically long day and found a surprise package waiting for me from Morgan! It was filled with everything I love: historical fiction, tea, Jane Austen, Celaena and chocolate. I was so happy and freaking out over her thoughtfulness. It made my day (and week) a million times better! 4. Family Vacation - My family goes to the beach for a week every summer, and it's always one of my favorite trips. I head out to the beach first thing in the morning and stay there for most of the day. It's heavenly, and I get a lot of reading done, too! It's so nice to spend some time away from work and with the people I love. knowing that someone is on your side, always, whatever the details. Even when you are wrong. Especially then, in fact. A grandmother is both a sword and a shield." led me to someone else. And my heart breaks for every single version of me that didn't end up with you." 1. It's Ok by Jolie from Becoming Jolie - This post was published in May, but I didn't read it until June and had to included it. I think this is one of my favorite blog posts I've ever read. It's a bold statement, I know. But I related to aspects of her story and just found myself thinking, "I want more posts like this - stuff that makes me think and feels honest and vulnerable." 2. 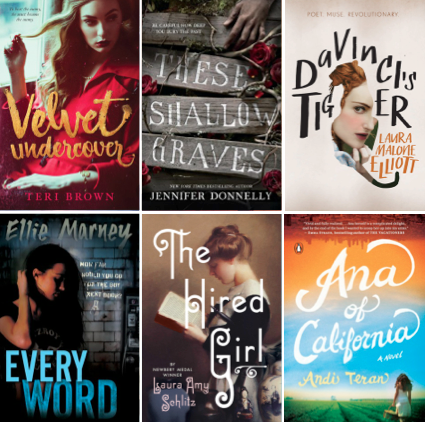 Her Story: Ladies in Literature by Jen from Pop! 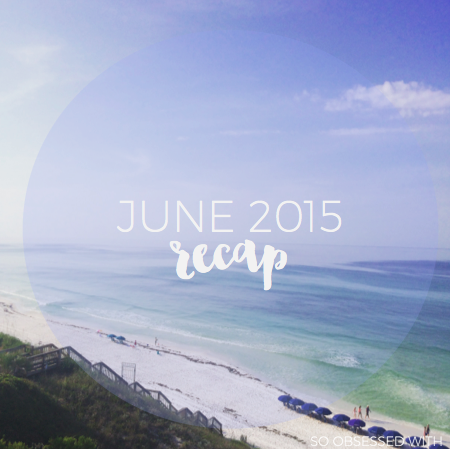 Goes the Reader - This blog series was absolutely a highlight of June for me! 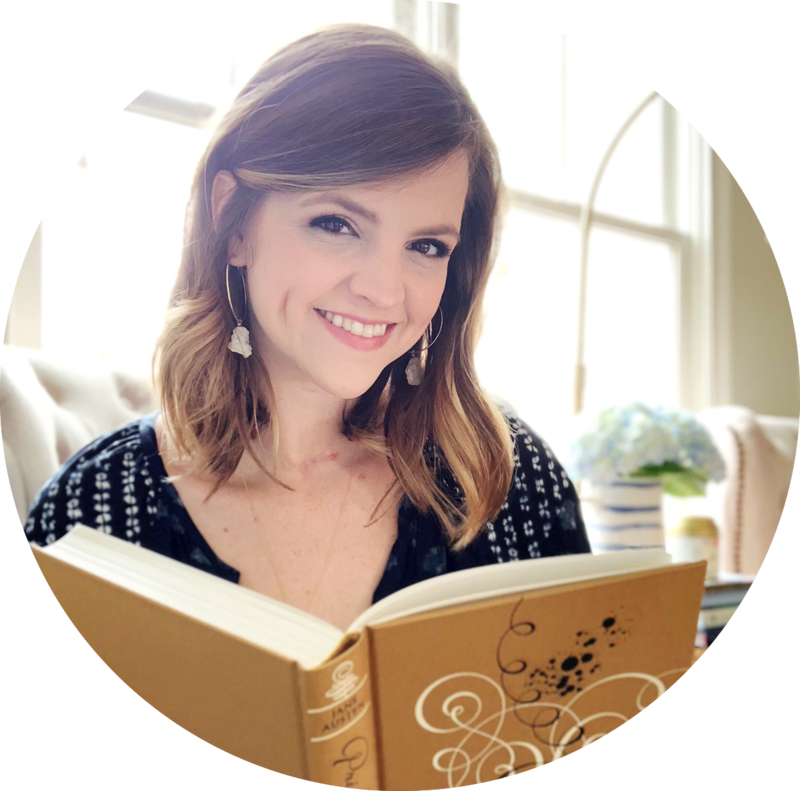 I checked Jen's blog every morning for a new post, and I honestly loved every single one. It was fun to be reminded of why I love certain heroines and to find new ones I'm dying to meet. There's something powerful about the characters that move us, teach us something and stay with us forever. 3. 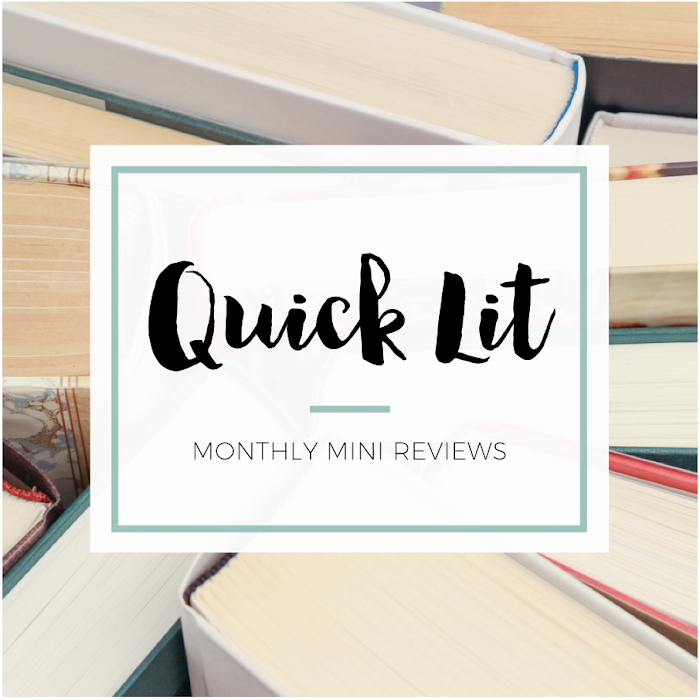 Morality in YA by Grace from Words Like Silver - I only recently discovered Grace's blog, but I've totally been missing out! This thoughtful discussion post on mortality in YA expresses something I've had on my mind recently. I love when authors portray unlikeable characters and/or depict problematic attitudes and behaviors, but it often provokes pretty heated reactions from readers. But don't we want the conversation? 4. The Status of All Things: It's Complicated by Estelle from Rather Be Reading - Estelle has posted a number of discussion posts inspired by books, and I keep telling her that I want to continue to write even more! I sometimes get burnt out on reading reviews, but Estelle makes me feel like we're having a personal chat and makes me want to pick up what she's been reading. This is one was my absolute favorite! I usually just highlight one song, but I was obsessed with a lot of music this month! and now I'm obsessed! I spent most of June listening to her music, and this song is my favorite. Favorite Song #2: "Breathe In. Breath Out." by Hilary Duff on Breathe In. Breathe Out. I've always loved Hilary Duff, and I was so excited about her new album. Thankfully, it was worth the wait! Sometimes you just need some catchy pop, and this fits the bill. I loved Kacey's first album, Same Trailer Different Park, and her clever lyrics. Her sophomore album didn't disappoint! I love her sassy songs, but this is the one I've had on repeat. I was a little nervous about this album because I absolutely loved The Civil Wars. While it's a different sound, these songs have really grown on me. The songs all feel so honest! Inside Out (2015) starring Amy Poehler, Phyllis Smith, Mindy Kaling, Bill Hader, and Lewis Black - Nick and I couldn't wait for this movie to come out! I've loved every Pixar movie I've seen, and this one was no exception. It was so creative and adorable, but I didn't expect to feel so emotional watching it. I should have known! I'm glad you had an amazing June, Hannah! I'm happy to share BEA books with you, or any books with you really, FYI <3 Here's to hoping July is even MORE amazing for us both! i've been listening to a lot of hilary duff's new album as well. brings me back to my childhood when i would just play stranger and play with fire OVER and OVER and i'm really liking her return! i also watched inside out and really enjoyed out. it honestly amazes me how pixar is able to churn out such innovative ideas consistently and i thought the casting was spot on. i loved amy as joy and phyllis smith as sadness was sooo great. i also really liked mindy kaling as disgust although some people weren't too keen about it? but i thought she did a great job. i don't know if you've read how to love yet but it's really really good! have a good july hannah! and i might just be late to the game but i love your new design! the light blue is gorgeous! The Life Changing Magic of Tidying Up is such a great book! I've never found it so easy to go through my home and get rid of stuff, but I don't miss ANYTHING we got rid of. We don't even remember a large portion of what it was. It's so easy and it really does simplify life.